16 Host your own "drive-in"
For a few, the entire course of fun and entertainment begins only after 10PM, especially for people who live in big cities. But sadly, restaurants and entertainment areas would shut down by that time. So, what to do? Try out these amazingly creative late night date ideas with your partner. When the moon makes its appearance through a plethora of clouds, it is the perfect time for a stroll. Grab your significant other and walk on the quaint streets serenely. You can also meet up in a coffee shop, provided you’re in a safe atmosphere. You can also go for late night shopping, while the moon is shining bright. You can conduct some really exciting challenges at home during late night. Couples can come up with challenges like solving Rubik's cube, finding the gems and playing cup stacking. Also, there can be challenges like who will do more push-ups and all such. Come up with more such challenges, put in a bowl, randomly pick them up and have fun. One of the most exciting late night date ideas. You can visit some late night karaoke bars and unleash the singer in you by crooning your favorite songs, or you can also visit hotels which have a separate lounge with a library of popular karaoke songs. Even at home, you can have games like SingStar and RockBand. Instead of having a typecast dinner and movie date, you can opt for a 24-hour diner where you can gorge on sumptuous food as well as have heartfelt conversations with each other. This is the best way to spend quality time with your partner, without worrying about your work or other problems. What else is more romantic than staying up all night to watch the starry skies and then slowly revel in the beauty of a wonderful sunrise? Visit one of the sunrise spots in your city, or you can also stay at home and watch the sunrise from your balcony. Cozy up to your partner with a warm mug of coffee and warm blankets. There are numerous social lounges where you can meet new people and set up an instant date with them. You can visit nightclubs to enjoy live music and rewind yourselves. Or you can visit more serene social lounges where the mellow music adds to romantic atmosphere. This is definitely one of the most thrilling late night date ideas. Some of the pool halls and bowling alleys are open till the wee hours of the morning and you can seriously enjoy yourselves to the core along with your partner. Since most of the pool halls are crowded during the weekends, research well and choose the one that has less people yet safe to visit. This is one of the romantic late night date ideas. Similar to walking in the moonlight, no one can miss visiting the beach during the night. You can just sit on the sandy shore, watch the stars in the sky and have a late night picnic. Since the atmosphere will be cooler, don’t forget to carry a sweater or blanket along with you. Just pay a visit to the late night markets in your area. You’ll be surprised to find how many goods they sell during the nights. Ranging from Christmas goodies to vintage articles, you can almost get everything. Maybe you can share the goodies with your partner and have a good discussion about them. No, this is not the usual drinking date where you’d go in for a couple of drinks and have mushy talks over cocktails. Try something unique and creative like wine tasting, cocktail making, bartending together, beer brewing and whiskey tasting. All these are some great late night date ideas. Doesn’t a late night picnic in outdoors sound exciting? Yes, you can select a serene spot like your garden or even the beach where you can set up a good meal like homemade sandwiches. 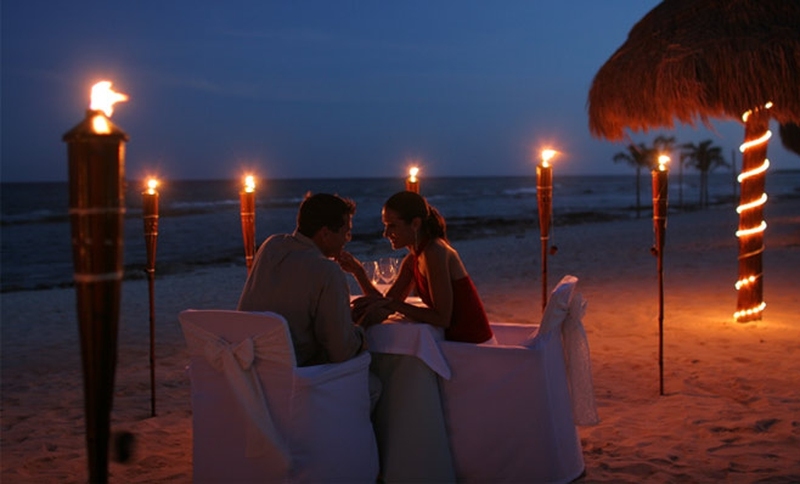 This is something romantic which can increase your intimacy and let you know your date partner better. Have you ever gone on a late night tour with your significant other? Many agencies offer late night tours that are both fun and informative. You can even go on ghost tours, provided that you aren’t scared easily. Another option is a film tour where you’d be taken on a journey through the film industry. This is one of the most informative late night date ideas. There are many art galleries and exhibitions which are open till late night. You can visit some, discuss your favorite artists with your partner and have a relaxed stroll through the gallery. You can also choose a classic library and browse for books together. Many late night shows are exclusive for couples. You can visit one of these shows and have a great time together. Besides theater plays, you can also opt for late night reruns of classic movies which would be screened in select theaters. You can also go for a magic show if you like mystical things. There are some zoos and aquariums which are open till late night to entertain visitors. They also conduct special activities for those who visit late night. You can interact with the cute animals over there, learn something new about them and discuss your views together. Perfect for all animal lover couples! This is truly one helluva experience of late night date ideas. If you own a laptop or DVD drive, just take it out. Download a movie which you’ve been longing to see. Cuddle up with your partner with a dim lit bistro and enjoy this movie together. There is a popular DVD rental plan in Netflix called "Instant Watching" library, consisting of 1000 films which can be downloaded to your PC in a few seconds. Also check out cinemanow.com and movielink.com where you can download some software with movies worth $20 a month.